Free Crochet Hat Pattern for a Baby. 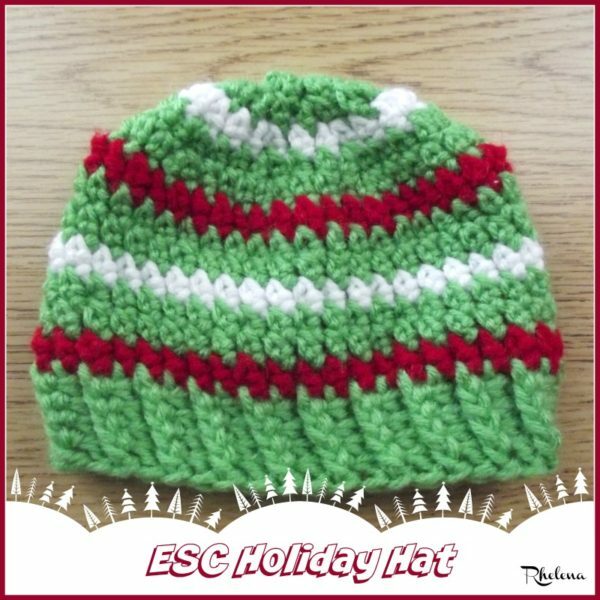 After crocheting the holiday pencil case cozy I couldn’t resist but crochet up a cute little hat using the same colors and stitch. I had the yarn, so figured why not? 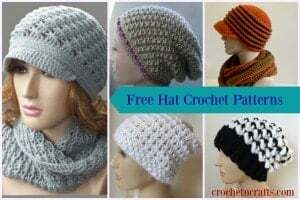 This hat pattern is given for a baby size, but there is no stitch pattern, so you can crochet this to any diameter you need to fit any head size. It’s a great and mindless pattern to go to for the entire family – male or female. I used an economic yarn, but it’s a great stashbuster pattern so feel free to use any yarn you have on hand. Gauge: First 2 rnds = 1.75″. 9 sts = 3″. Finished Size: Laying flat it measures 6″ wide and 5″ from top to bottom. Can be adjusted as needed to fit any head size. Note: Carry unused yarn up at each rnd. Extended Single Crochet (ESC): Insert hook in stitch indicated, yarn over and pull up a loop, yarn over and pull through one loop, yarn over and pull through both loops on hook. Note: Continue to increase in pattern as established until you have reached a desired diameter. Rnds 7-8: With CA, Rep Rnd 6. Rnd 9: With CB, Rep Rnd 6. Rnds 10-11: With CA, Rep Rnd 6. Rnd 12: With CC, Rep Rnd 6. Rnd 13: With CA, Rep Rnd 6. Rnds 14-17: With CA, Fpesc in same st as join, bpesc in next st, *fpesc in next st, bpesc in next st; rep from * around; join with sl st in first fpesc. Fasten Off at last Rnd. Last, but not least, there are lots more free crochet baby hat patterns at CPB.